The houses sat across from each other, a Texas farm-to-market road dividing their lonely skeletons. My great-grandmother living with Aunt Ruby. My great-grandfather gone to his home above. Both grandparents gone to meet him. Each house still possessed an expanse of lawn – grass growing despite the loss of tenants to mow. It became my mother’s job to periodically shave the wild mane of Johnson grass and trim the bushes of my grandparents’ homestead and it was my chore to tag along and help. It was a sad job because we still mourned their loss and the decay of their Victorian gingerbread house was an added sore spot. Often, we ventured to the great-grandparents’ simple farmhouse across the way. We peered in the windows and checked in the smokehouse as well as the outhouse and sheds. It was not our job to care for this lawn, but it was our responsibility to check for vandalism. 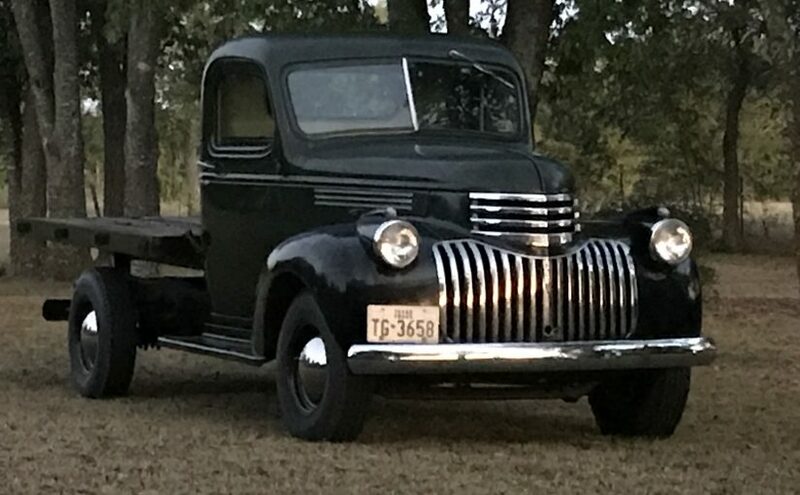 I always went out to the carport because it was here that the old 1946 Chevy truck sat neglected. I had fallen in love with its gentle curves, large round headlights, and grinning chrome grill. I coveted this truck. I wanted it for my own even though I was not yet of driving age. Mother informed me that it belonged to her cousin. That was that. 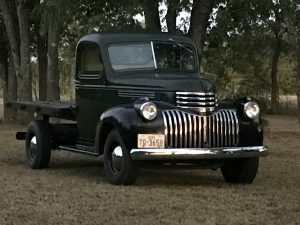 After the passing of my great-grandmother, my father asked Momma’s cousin if he wanted the old truck. My ears perked. I couldn’t believe that it could be that easy. By the end of my father’s bold conversation, he was the owner of my truck! Well! I didn’t even know he was interested in it! Daddy’s love must have run as deep as mine – deeper, really. He spent his last living days pumping money, energy, and precious time into bringing the old jewel back to shine. You see, he was dying and I think he knew it before the cancer was even found out. Friends, old and new, came together to help him get it running. And he did, he got it going, bumping along in it’s ancient gears. He tried to take me for a ride in it, pride oozing from his pores. 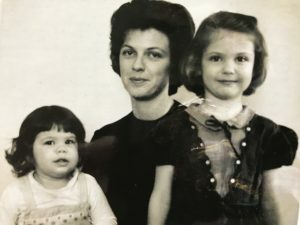 I was pregnant with my youngest daughter and all the jostling up and down on the old spring-cushion seat caused my stomach to cramp in pain, forcing us to return home. Daddy died not long after. I walked to his open casket one last time and my knees went weak. Caught by my husband and my daddy’s best friend, I made it to lay my hand on his. I sobbed like I knew how bad I was going to miss this man, though I didn’t really have a clue. I watched for years as the old Chevy sat outside, neglected. All my father’s hard work was going to waste. It was like watching Daddy die another slow death. I finally asked Momma if I could buy it from her. She told me it belonged to me as well as my siblings. It was part of our inheritance. If I wanted it for my own, I would have to buy my brother and sister’s share from them with their permission. I made the calls, got permission, sent the checks, and picked up the truck. It was finally mine! It took many hours and lots more money to get her purring again. I got to drive her twice when death hit again…the death of my marriage. It is sad when a thing you love becomes the symbol of pain. It sat again, unused. I gave it to my daughter as a part of my inheritance to her – the same daughter I was pregnant with on that first ride. She had no way to store and keep it so it sat once again at my mother’s house. It is hard for me to describe what I felt every time I saw what was happening to the old girl. Maybe it was not my responsibility any more, but I still felt the guilt. I discussed it with my daughter. Really, I told her. “I’m going to take back the truck, get it running again, and you can have it when I die.” What could she say? Armed with Daddy’s manuals, all the tools I possessed, and all the products recommended by the auto parts store, I headed to Momma’s. Momma hadn’t been feeling well, but she couldn’t help herself. She came out and helped me. She instructed me how to hook the towing chain to the truck and her tractor. She pulled and I steered. Once out in the open, we took out the seat so that we could remove the gas tank that sat beneath it. (Yes, that’s where they put the gas tank! Right under your bottom!) I crawled underneath and removed all bolts holding down the brackets. We cleaned out the tank and hung it upside down to dry out. The next day, we put it back in the truck, filled it up, put in a new key switch because the original keys had been lost, and began our efforts to get it started. Momma was in her element – glowing. She told me how she used to watch her daddy work on the tractors; how she loved to help him. She said this old truck wasn’t much different from those tractors. It amazed me all that she could recall. Ok. So we had to call in some professional help. We still got it running and took if for a quick spin around the pasture and down the dirt road. What a memory! The old ’46 is still with the mechanic who is kind of old himself and taking his time. I’m hoping it will be ready by spring when I can take it for a real drive…when everything will be coming back to life and not dying. Saturday evening. I receive a text from my one and only sister, my older sister by four years, Tina. I text her back that I love her…because I do. I love that she takes the time to share something like that with me. She keeps us connected. Our relationship is safe in her hands. She knows what a loner I am and reaches out to keep us going like she has done for as long as I can remember. I can’t imagine what my childhood, my life, would have been like without her. 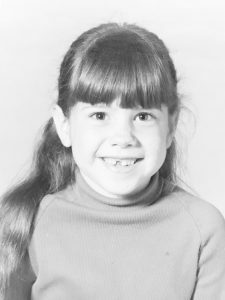 Tina was the “big sister”. She was more than that to me. She was my entertainment chairman, my teacher, my second mom, my guide, my chauffeur, my own personal comedian, my partner in crime, and my best friend. Her imagination knew no bounds, nor did her energy. She came up with things for us to do and saw to it that I did them. There were no questions between us; only telling and obeying. I don’t ever think it even occurred to me that I had any choice. 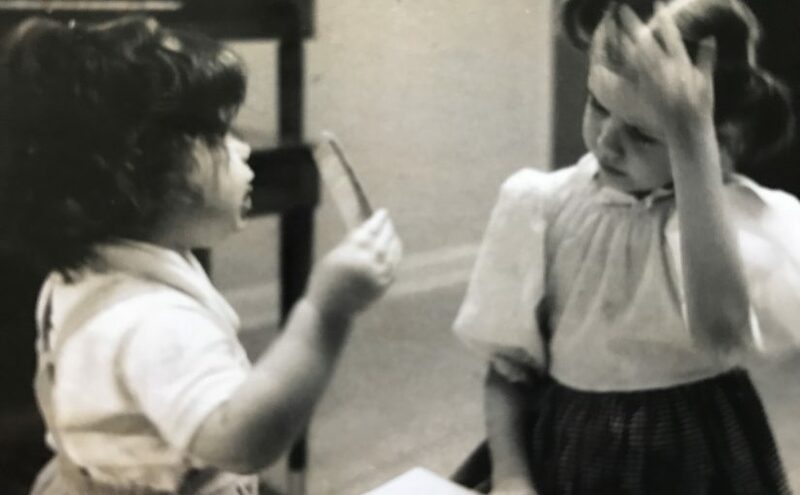 I was happy to have someone who knew how to create the perfect childhood activity; to guide me from one blissful day to the next. I looked up to her and wanted to be everything I believed she was, everything that I was not. *Tina stands on the see-saw, gliding back and forth, seeming to rock the skies back and forth as well. I ask for my turn. She was there first and I will just have to wait until she is through. I watch her nimble body and just know that she is having the best time ever!!! Finally, she tires of it and heads into the house. I jump aboard like there is someone else that could take my turn even though I am now the only one outside. I attempt the same rocking motion, applying pressure to one foot and then, the other. Awkwardly, the swinging begins and the hornets that had built their nest in the top of the swing set decide they have just had enough!!! Barely started in my coveted activity, I am forced to jump and run while countless stingers are being injected in my tender skin. *My sister and I share the same bed. Her legs and arms are long and skinny and demand a good portion of the mattress. Tina’s energy is not quite played out and so she shows me how to make a good “fart” noise on the fleshy part of my upper arm. We both practice and laugh hysterically at our expertise in this finer art. Ha! The art of fart!!! We are laughing so hard that tears are coming from our eyes and suddenly I am thirsty. I stick my head out into the living room where Daddy is watching television before heading to the kitchen. “What are you two doing in there?”, he laughs. “Farting…” I giggle. *We are camping at Lake Texhoma. It is early evening and Tina decides it is time to teach me how to look for grapevines. “We are going to smoke them,” she informs me. How she knows these things, I don’t think to ask. We find some because she knows what she is looking for and we take a section back to the campsite. She hands it over to Daddy and he shows us how to break it, light it, and then, laughs while we choke on the smoke. I don’t quite understand how burning the back of your throat and coughing is supposed to be fun, but what do I know? *We are playing in the garage, which has become storage for all of the things our family doesn’t know what else to do with. 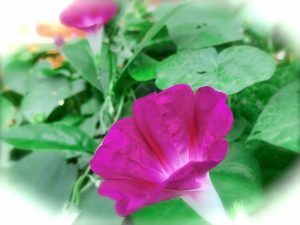 It is hot because it is summer time. There is my old drum set in the corner that my brother, Brady has beat the tops out of with old soda bottles that Mama is saving for a rainy day to be cashed in for the deposit money. Tina has a brain storm. We are going to have our own haunted house right there in our garage. She orchestrates our respective jobs. I watch in awe as she takes one of our old baby dolls with its ratty hair, dirty plastic body, and bitten-off fingers and begins pouring ketchup all over it. “It’s blood,” she informs me as she ties a rope around baby’s neck and ties it from the garage door hardware. *Some of Tina’s friends have come to our house to visit. Of course, I am hanging around because that is my job and I’m waiting for further instruction. Tina’s eyes light up and I know she has just had the best idea ever! “Holly, we really need a D.J. Why don’t you take this walkie-talkie (which happened to be my walkie-talkie) and we will keep this one. You can play records for us on the record player and we can listen to them out here in the yard. You will be a good disc jockey!” Praise. She picks her weapon well. I go into our bedroom, joyful. I will be the best disc jockey! I professionally announce each tune before I carefully set the needle on the precious vinyl. I hold a death’s grip on the transmitor button as the table spins and the tunes play. Eventually, I decide to look out and see how the girls are enjoying my efforts. They are gone! I’ve been duped!!! Duped and dumped! * Momma’s crabapple trees have produced a bumper crop. Tina has turned into entrepreneur. We are instructed to gather, wash, and mash the hard fruit. Tina then takes one of Momma’s Kool-aid pitchers and mixes the bruised fruit with sugar and water. She tastes it from the mixing spoon and then, hands her efforts over for me to taste. “Mmm…good!” I lie. Out come the crayons and paper. She makes signs. She and the neighbor girl, Kim will stand there by the Crabapple Water Stand she has set up. I will go up and down the street, advertising our new “product” by singing at the top of my voice this song that she has come up with as our advertising promotion. “Crabapple Water…good for the tummy!!! Crabapple Water…yummy, yummy, yummy!!! 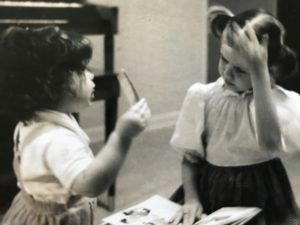 !” I learn the song quickly because I’m just that good and strut off with my very important sign, singing in my very best voice the tune that my clever sister has devised. I walk; I sing; I turn; up and down our middle class street. I return, wore out and thirsty, to find that our business has been shut down due to unhealthy sales. No one bothers to let me in on our failure. I could go on and on, for the memories are stacked deep in my mind where I can take them out and treasure them. I feel sorry for any child who didn’t have an older sister or brother to “boss” them around. They miss out on so much! I recently told Tina that I was thinking of doing a story about having her as a big sister and all the creative things she came up for us to do. She laughed, pleased, and began telling me the stories I should tell. Some things never change! We’ve been through so much together. We were both baptized on the same evening. We laid in our joint bed that night, wishing that God would take us as we slept, while we were fresh and clean. We cooked and cleaned our house together. We swam. We dreamed of boys…the men that would carry us off and marry us. I studied the way she dressed; the way she danced; the way she told a joke. I wanted to be just like her. Today, we shop and forage for treasures in antique shops. We pray for each other’s children. 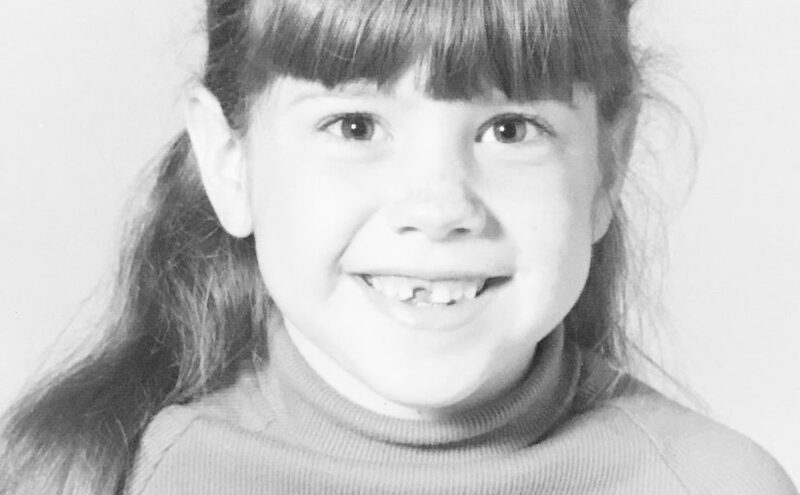 The day that I received divorce papers in the mail from my first husband, I called Tina. I heard the tears in her voice as she announced she would be there with me as soon as she could get there. She came and held me while both our bodies racked with sorrow and grief. She spent the night, making sure I would not be alone. A sister is a forever friend. I’ve read this somewhere and it is true. My head rises and falls with each breath my daddy takes. I close my eyes and take in the smells that belong to only him: a mixture of smoke from his Pall Mall Golds, tinctures and creams lingering from his day of barbering, Vel Soap, Old Spice aftershave, and Secret deodorant (the kind that came in the jar and was not yet marketed towards women). Black coffee and nicotine escape from his tongue when he talks. It is not offensive. It is just my daddy. I sit as still as possible. I don’t want to leave this spot. This is my safe place. This is my home. Being my daddy’s girl means the world to me. I wait patiently for his callused hand to pat my arm while the television reports the chaos of a world I am not yet fearful of. I wait sometimes there, in his chair, comforting myself with the worn out material, throwing my legs over its arms until Daddy comes home from work. I will read and fill my head with stories and dreams; things I know he’ll understand. I see him in his other place, also; clear and solid. He is behind the wheel of the car, I am behind him. He tells me one more time to get my feet out of the back of his seat. I don’t know what to do with these long legs. I look out the window at clouds, telephone lines, and tree tops and listen to his elevator music. On the way home, I search the night sky for every star, waiting for one to fall so I can make a wish. Then, I lay my head over and pretend to sleep. Daddy talks of grown up things with Momma; words that buzz around the car to the tunes of the radio, never settling in my memory. My mind is there in that back seat, dreaming without sleep, waiting for our car to pull in the drive. Hoping that I will fool Daddy into thinking I am really asleep…hoping that instead of waking me and telling me we are home, he will lift me in his strong arms, carry me inside, and place me on my bed like he did when my legs were not so long. This morning, I opened the door of my refrigerator, slid open the crisper drawer, and peered at the fruit lying there. I have a bad habit of buying healthy food (with the best of intentions, of course) placing them in that bottom bin, and then, forgetting all about them until one day, I remember and ah-hah!!!! it is too late! The once lovely fruit is now shriveling inside its own skin and maybe wearing a little fuzzy mold cap to keep it warm. Well, I got lucky on this day! There, still in the plastic bag from the grocery, were two beautifully ripe mangoes. What a sight! After battling the flu for a week, my body is craving some vitamins and I was so happy to see the forgotten mangoes. I got out my favorite knife; one given to me years ago by a wonderful friend; and my large cutting board. I peeled it first, knowing that this is not the correct way but is still the way I like. Then, I proceeded to try and cut its flesh into bite size chunks. Each insertion of the knife made my mango’s juice spill, overflowing the cutting board’s large surface. What a waste!! !, I thought. I ate the two slices that I had managed to cut off. The taste was pure joy: like sunshine, beaches, and ocean waves packed in its golden fibers. 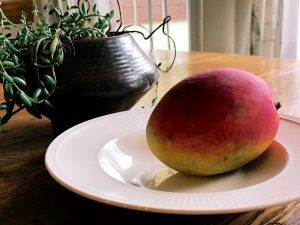 I migrated over to the kitchen sink with my remaining treasure, leaned over the sink with the skinless mango dripping its nectar from my hands, and proceeded to feast. By the time I had gotten as much of the fruit from its core as possible, my face and hands were sticky and wet. I felt like such a child and I loved every minute of it. 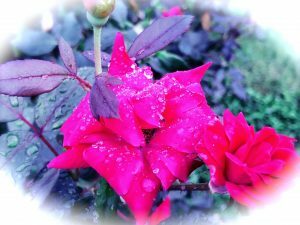 It transformed me to my childhood backyard…to the small peach trees that grew between the fence and the swing set our father had made for us to play on. 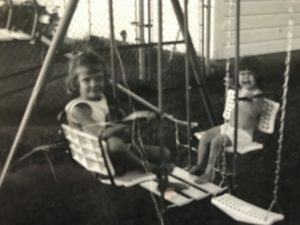 My sister, my brother, and I spent many summer hours swinging back and forth with a peach in our hands; sneaking bites and letting the juices run down our chins, staining our clothes. If there were bug holes, I simply bit out the bad spot and spit it out on the ground. And, after I had taken my last bite, I sucked on the pit until it was completely clean. I enjoyed it’s rough texture on my tongue until the roof of my mouth got raw. Then, I spit out the seed and greedily went for another. Peaches are like an edible memory for me, still, but only if they are allowed to ripen on their mother tree; the sun beating down on them until they are fully flushed like the face of a young girl after her first kiss. Their flesh is soft and fuzzy and their meat is juicy, giving itself freely to lips, teeth, and tongue. 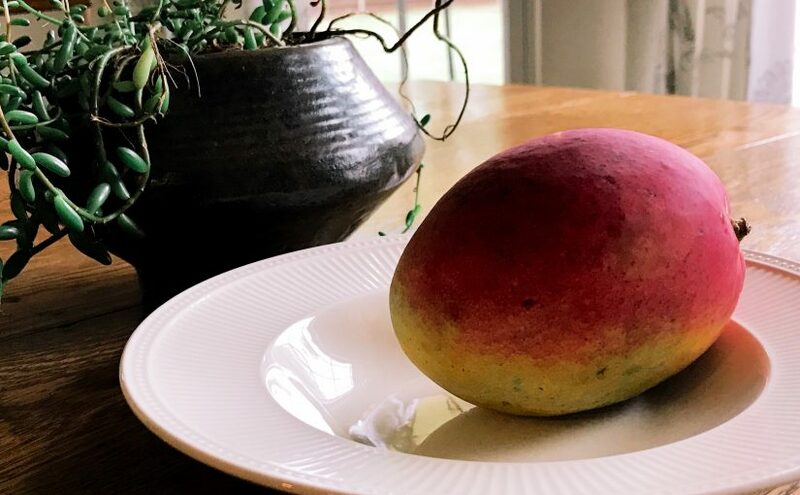 It only feels right to eat a fresh, ripe peach outdoors where you can make as much of a mess as you like; you can feel the sun on bare arms; and you can hear the buzz of bees swarming their sweetness. That is what my mango gave to me, today. It gave me a peach of a memory, literally. It made me think of my childhood, my brother, my sister, my daddy, my momma…happy times. Maybe that is what my flu-ridden body needed instead of the vitamins: a dose of happy. I have many friends who are dealing with illnesses much worse than the flu, today. It is my prayer that you will find something today to lift you up. When our bodies are weakened, if forces us to be a little stiller…and maybe, in that stillness you will find what God wants you to see. I pray for your comfort and that you may know how much you are loved. The moon came a little closer. I think the man who lives there was mildly curious about what had been keeping me. My visits to spy on him have been more rare these days. It is awing, is it not? This relationship we form with the light God formed in the nighttime sky? We gaze at him in ways we are not allowed to with his older brother, the sun. He seems to enjoy the attention and changes his look to spur us on in our beholding. Sometimes he glows with the color he borrowed from the sun. Sometimes he is blue, silver, or eerily white. When he is full of himself, he shows his smiling face and we smile back. He’s infectious that way. For me, his appeal comes with the memories we have shared. You may feel the same. It’s like watching a movie that seems to have stolen bits of your life and played them out for all of the world to see. You cry, not because of the character’s woes, but because their misery has pricked you with memory’s sharp thorn. 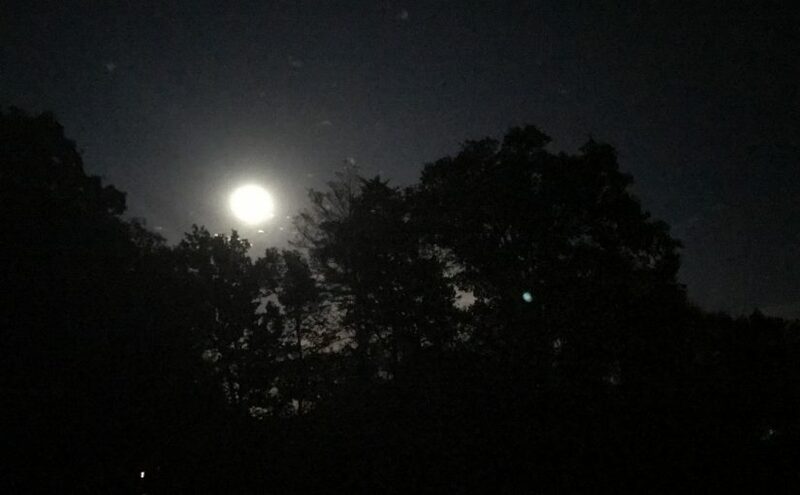 *I see my love, lit with lunar glow, bowing his head towards mine. 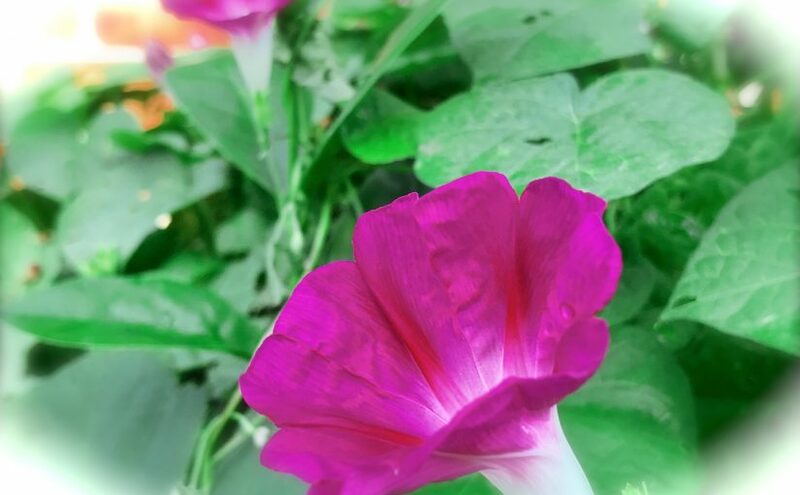 The fields are almost clear as day and my gown glows as if heavenly. What romance can not succumb to such a setting? What heart can help but beat a little faster? *The ocean beats upon the shore. Waves try to reflect the moon. Water, ever-changing, distorts its image but the abstract is just as lovely. Stars twinkle and wink, hoping to distract my attention. *Lying spread out flat on St. Augustine mattress. The blackness above letting bits and pieces of heaven’s glory spark above me. Lightening bugs float starlike above the earth, on the same plane as me. My friend, The Man on the Moon, grins as my mother calls me to come inside. He has been companion to midnight walks, camping trips, solitary swims, and cries in the abyss. His surface reflects his surroundings and his shape nightly transforms. He is a lot like me, only he is silent, rock-hard, and strong. He remains true to us all whether we pay him any attention, or not. I am happy he came a little closer the other night. 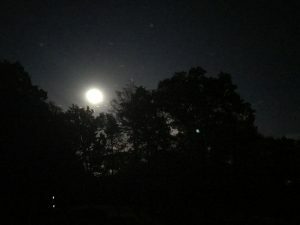 I’ll try to be more faithful in my nocturnal visits and more grateful for the moonlit memories.